Learning how to swim with Propel is easy. With convenient locations, your choice of instructor, and flexible scheduling - you'll be swimming in no time. I saw my kids make more progress in their first lesson than they did in 3 or 4 lesson sets in the program they were enrolled in before. We partner with amazing facilities around the city to give you the best, most convenient locations possible. Say goodbye to crowded changerooms and stadium seating. Every Propel location features unique amenities like free wifi, towel service, and lounge chair seating. ...the locations near us are a treat for us parents while we wait. Registration is simple and there's no need to line up or do waitlists like at other private swimming places. We highly recommend Propel for swimming lessons! 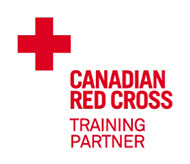 All Propel instructors are certified by the Red Cross or Life Saving Society, so you know you're in good hands. Find a time in their schedule that fits you and finally take control of your learn-to-swim schedule. My daughter had her first lesson after a few very unsuccessful group lessons. She learned so much in the hour with Sarah. The smile on her face when we left was worth everything. Whether learning to float or training for a triathalon, Propel instructors will work with you to set and conquer your goals. Learning by yourself or with a friend, you'll build confidence that will last a lifetime. I was very skeptical at first. But in just one session, I was comfortable in the water, could float, and do a lot more!! Want to see if we're in your city? Forget waitlists and registration headaches. Propel swimmers book anytime, online. Set your own hours and pay. Build a client base and teach how you want, where you want. Offer an incredible service to guests, tenants, or neighbors in your area. I have experience teaching children of all ages, as well as children with disabilities, lots of experience with adult swimmers, as well as experience with athletes. I am enthusiastic about my job and love when people have a goal that they aim to reach, whether it be just learning the basics, to training for races/marathons. I have been a lifeguard and swimming instructor for over 5 years. I am a positive and fun instructor who loves to see my students gain confidence in the water and improve their swimming skills. I design many exciting activities, drills and games to make every lesson fun and enjoyable while advocating water safety and providing constructive feedback toward each individual’s improvement. I recently retired from my professional water polo and swimming career. I was a participant in the Olympic Games in London 2012, a winner of the Asian Games 2014, and Champion of Asia 2012. I have won many other international competitions in water polo and swimming. I am fluent in three languages: English, Russian and Ukrainian. I have been swimming my whole life and believe that being able to enjoy the water and be safe while swimming is an essential skill to have. I am passionate about teaching all ages to swim but especially love preschool and introductory levels. Come learn with me! My son struggled with group swimming lessons in a public pool. In just two lessons with Propel he has made great progress and is close to swimming by himself. I would highly recommend this to anyone who needs extra help learning to swim. My kids loved their lesson with Propel in Toronto and we did too. Convenient to book and great instructors. Nice not to be locked into a set session as you never know when your kids will get sick or work will beckon — this is a game changer for us. My swimming lesson with Propel was excellent and provided me with more progress than multiple sets of group classes. Propel went above and beyond in their customer service, as well. They provide concise directions to their pool. The online system is easy to use. Further, the owners actually take the time to check in with you after the lesson. Our goal was to improve my daughter's swim so that she can join a swim club. After our lessons with Vladimir, my daughter successfully tried out for swim club and got accepted. As the pools are in hotels and gyms, they are empty most of the time - that was definitely advantageous as I am a bit embarrassed about my lack of ability! With no minimum number of lessons to book and your choice of instructor, location, and schedule, Propel allows you to learn on your own terms. Learn MoreHow Does Pricing Work?Get Started!